You may have noticed the many ways in which the medicinal cannabis space and the financial world are increasingly intersecting. 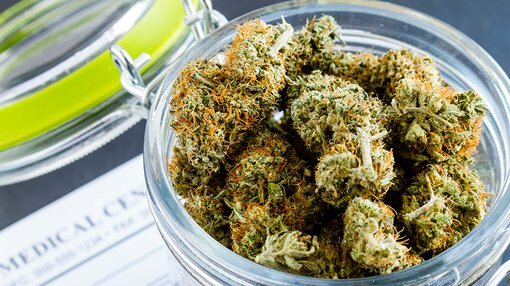 Over the last few years, the burgeoning medical marijuana sector has received enormous attention – largely in parallel with a rapidly shifting legislative climate. The sector has become highly lucrative, with a global market poised to reach a value of $55.8 billion by 2025. With multiple share markets, including the ASX, abuzz with an ever-growing crop of so-called “pot stocks”, the subject has become a kind of permanent topic du jour in the investment space. In the wake of Australia’s nascent medical cannabis industry, a collection of stocks like Creso Pharma Limited (ASX: CPH), MGC Pharmaceuticals (ASX:MXC) and AusCann (ASX: AC8), are helping the traditionally conservative financial world acclimatise to a subject that was considered, for a long time, taboo or irrelevant. Of course these stocks are early stage speculative stocks and investors should seek professional financial advice if considering any of these for their portfolio. In Australia, this surge has been sparked by a number of key changes over several years in cannabis legislation, including the Australian federal government’s recent loosening of restrictions around cannabis importation to treat a range of medical illnesses from epilepsy to cancer. As marijuana’s medical benefits continue to be validated by scientific studies, general public knowledge is growing about the drug’s health and wellness-related effects, dispelling a range of long-standing misconceptions. But there are still cobwebs to be cleared away in terms of how cannabis actually works. 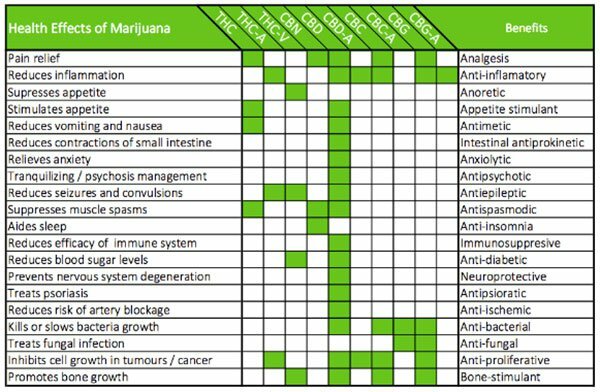 One of these is the understanding that medical marijuana is still just about “getting high”. This idea is bound up in unclear information about how various cannabinoids operate – specifically, the differences between THC (tetrahydrocannabinol) and CBD (cannabidiol). CBD and THC are two of over 60 compounds found in cannabis that belong to a class of molecules called cannabinoids – they are usually present in the highest concentrations, and are therefore the most widely studied. Both THC and CBD have a variety of uses for medicinal purposes, but only one of them produces the feeling of being “stoned” commonly associated with cannabis. Below, we break down some of the fundamental features and differences between the two. 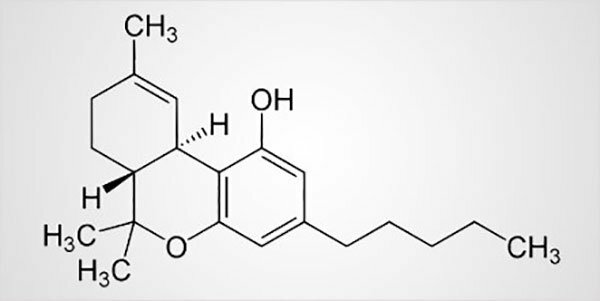 THC is the most commonly known of these two cannabinoids, being the only psychoactive compound in the cannabis plant. The reason it’s the most widely referenced is because it’s responsible for creating a “high”; a mind-altering euphoria. THC can alter behaviour, consciousness, mood and perception. It can also help to treat a range of medical symptoms, and is especially effective in relieving chronic pain, reducing nausea, and stimulating appetite. CBD targets a wider range of medical conditions than THC, and is particularly effective in treating pain, anxiety and inflammation. It’s also especially renowned for its muscle-relaxing and bacteria-destroying properties which make it a useful treatment option for a whole range of health issues. Both CBD and THC create therapeutic effects through their interaction with the body’s endocannabinoid system, which is involved in regulating a variety of physiological processes including appetite, pain sensation, mood and memory, and its specialised stimulators and receptors. It is through this interaction with various systems in the body that cannabinoids promote balance and healing. Although they interact with the body through different channels, both THC and CBD have been proven to be beneficial for modulating the endocannabinoid system and improving health. What are some of the key differences between THC and CBD? The first of these differences is also the most obvious, and key to some prevailing misconceptions about medicinal marijuana itself — the idea that it’s all about the high. As mentioned earlier, THC produces a psychoactive effect (the “buzz”), but CBD does not. CBD has significant medical benefits, but isn’t mind-altering per se. Rather, CBD can have a sedative, relaxant effect – interestingly, it can also counteract the psychoactivity of THC. For more information relating to the medical benefits related to combining both CBD and THC, take a look at this demographic. CBD is non-psychoactive because it does not act on the same neuronal pathways as THC. These pathways, called CB1 receptors, are highly concentrated in the brain and are responsible for the mind-altering effects of THC. The fact that CBD-rich cannabis strains don’t induce a high makes them a particularly appealing treatment option for patients seeking anti-inflammatory, anti-pain, anti-anxiety, anti-psychotic, and/or anti-spasm effects without the associated tiredness or dysphoria of THC. THC can sometimes be linked to feelings of anxiety or paranoia. This is because it activates the amygdala, an area of the brain responsible for feelings of fear. However, CBD is believed to do the opposite, with studies showing that CBD actually works to counteract the anxiety caused by ingesting THC. A number of studies also indicate that CBD can reduce anxiety when administered on its own. As well as being non-psychoactive, CBD also has an antipsychotic function. Researchers posit that CBD could protect people who ingest marijuana from getting too high by reducing THC’s potentially psychosis-like effects. In fact, it is being tested as an antipsychotic medicine for people with schizophrenia. A major plus for those looking to utilise the effects of either CBD or THC for medical or health-related purposes is the fact that neither has been found to present a risk of lethal overdose. However, doctors prescribing any cannabis-based products aim to minimise side effects, and subsequently tend to prescribe strains of medication with higher levels of CBD than THC.